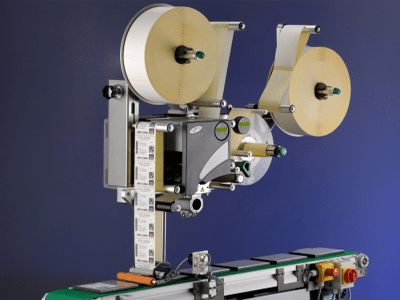 The SPA73x Print & Apply label applicator is a system designed for a wide range of industrial label applications. This high speed 300dpi printer can print batch information, automatically match line speeds and apply labels at speeds up to 150 products per minute. Having foil save functionality and quick change print head, this machine is designed for minimum downtime and high output. Available in three widths 100mm, 130 and 160mm, the SPA73x machine is ideally designed for installation into almost any production line.